Malaysia - 2018/03/18 - Innovative fundraising and promotional activities for THF took place in margin of the Malaysia Open Taekwondo Championships, which were co-organized by World Taekwondo, Taekwondo Malaysia and the Asian Taekwondo Union in Putrajaya, Western Malaysia from March 1 to 4, 2018. 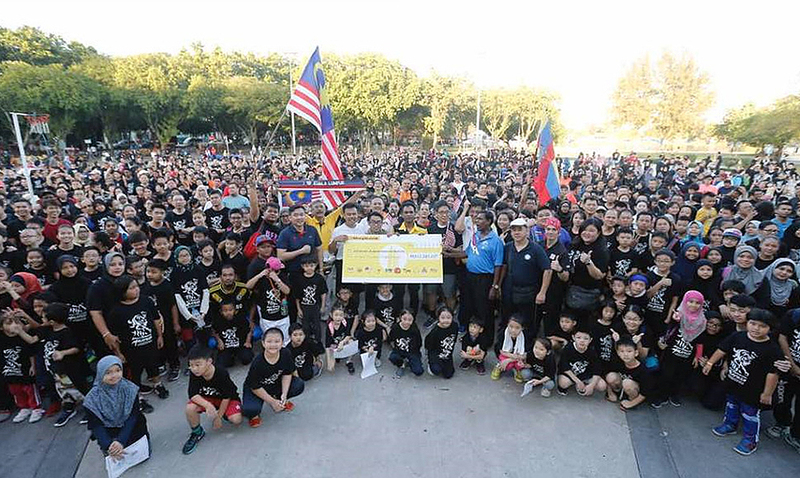 The most noteworthy THF promotional event occurred before the actual competition, when all of the Malaysian taekwondo associations came together under Taekwondo Malaysia’s leadership to take part in a nationwide “Humanitarian and Refugee Run”. This fundraising run was held in the entire country from February 23rd to 25th, and saw more than 25’000 taekwondo practitioners, parents and general public run a distance of 3km for this noble cause. This is the first time that such an event has been organized by any taekwondo organization around the world. In total, the run managed to collect 15’000 USD for the benefit of the Taekwondo Humanitarian Foundation, which will help the Foundation in strengthening its ongoing and future projects in refugee camps worldwide. 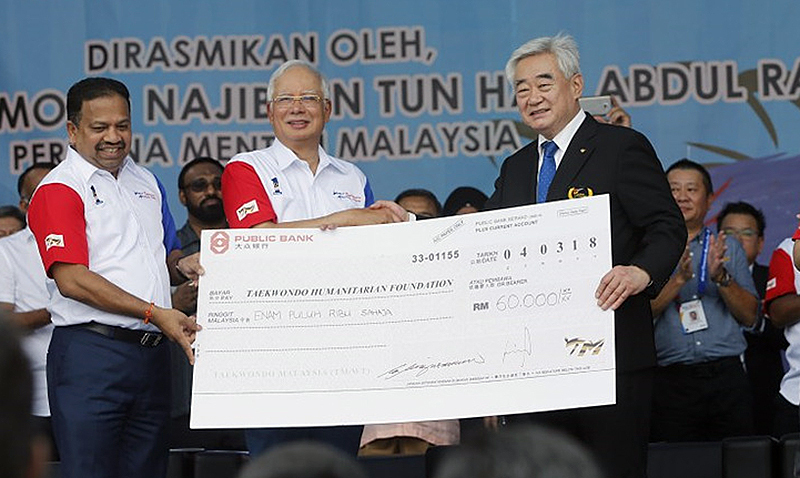 On March 4, the Honorable Prime Minister of Malaysia, His Excellency Dato’ Sri Mohd Najib bin Tun Abdul Razak, handed over a check for the entire sum of funds collected thanks to the run to Taekwondo Humanitarian Foundation’s Chairman and World Taekwondo President Dr. Chungwon Choue. It was the first time ever that a Member National Taekwondo association organized such a large-scope fundraising and promotional event in favour of World Taekwondo’s charitable arm, the THF. This Humanitarian and Refugee run will serve as benchmark for THF’s future fundraising events to be held in conjunction of World Taekwondo’s sponsored competitions around the world.